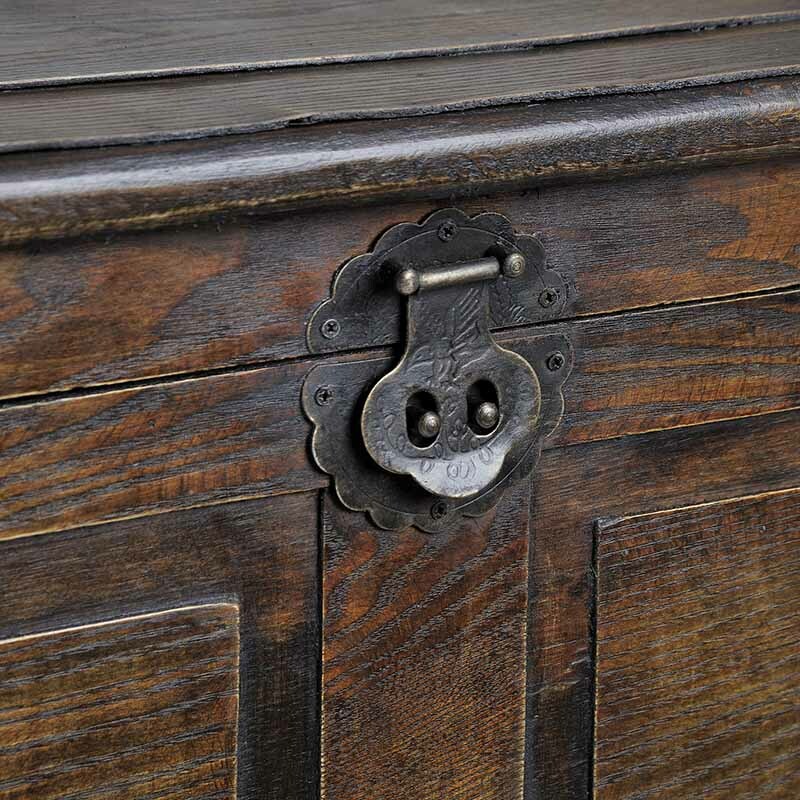 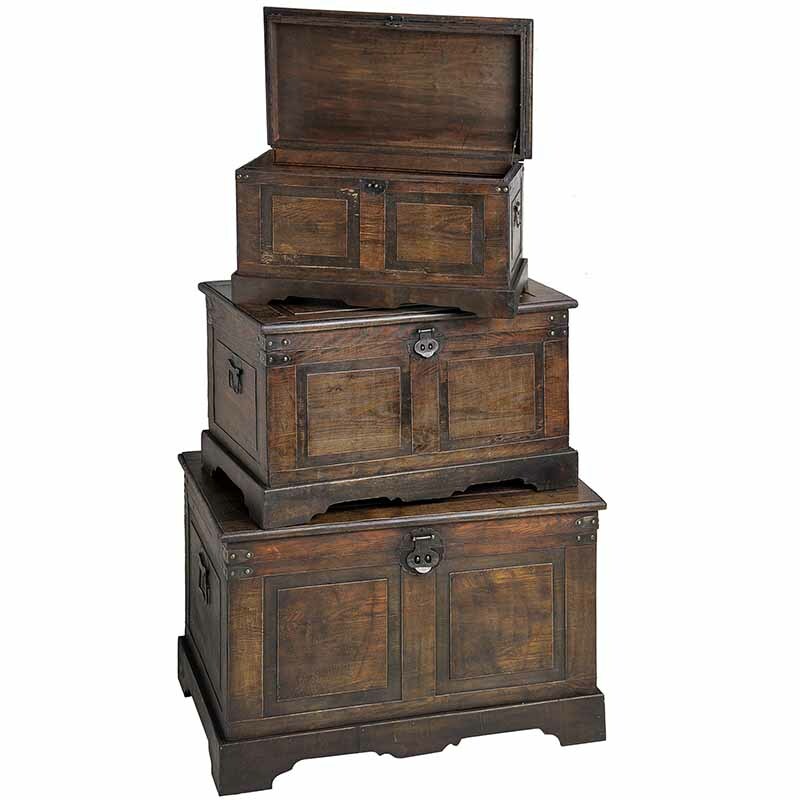 Flat topped antique-effect trunks - All you need for your home and garden. 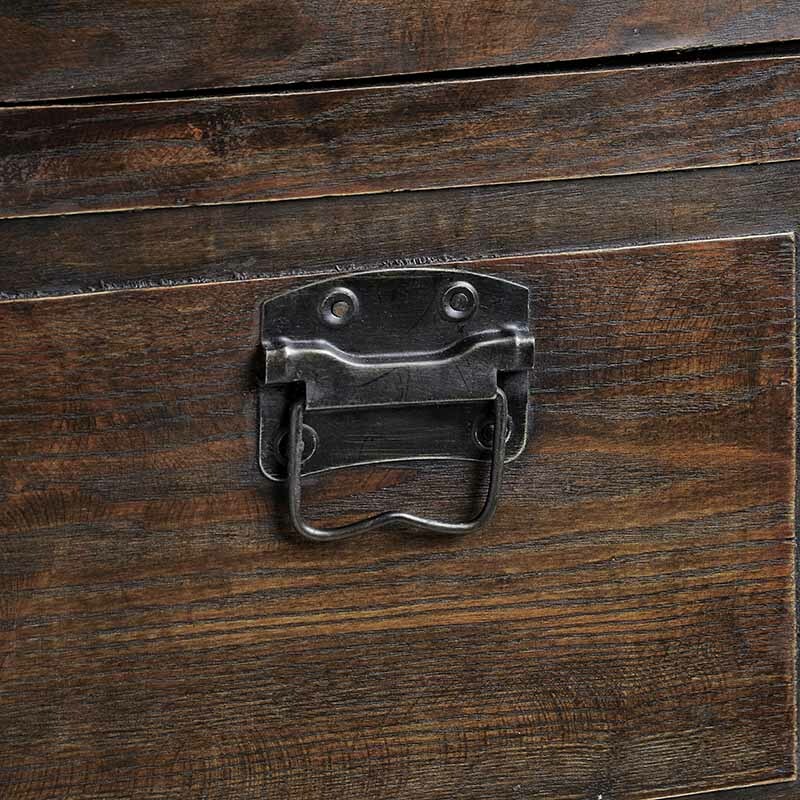 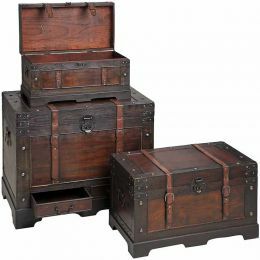 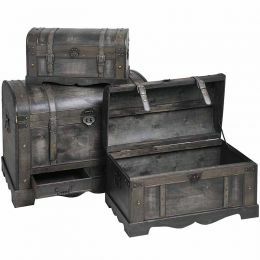 Create an unique old-fashioned atmosphere in your home with set of 3 dark brown wooden trunks. 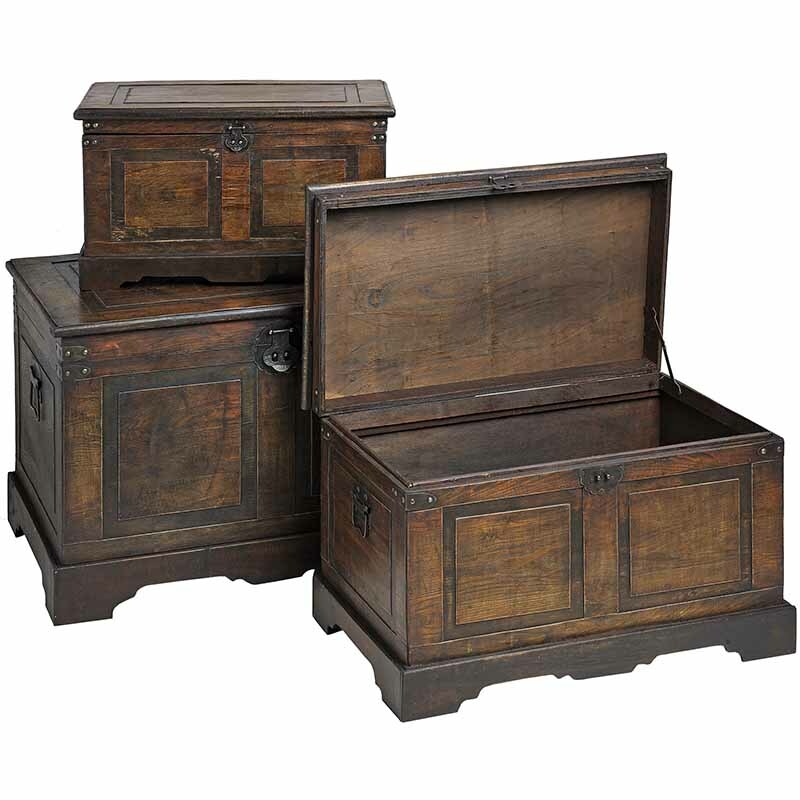 The largest one has two small bottom useful drawers.